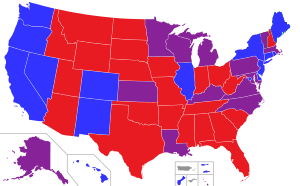 Each state in the United States has a legislature as part of its form of civil government. Most of the fundamental details of the legislature are specified in the state constitution. 49 state legislatures are bicameral bodies, composed of a lower house (Assembly, General Assembly, State Assembly, House of Delegates, or House of Representatives) and an upper house (Senate). The United States also has one federal district and five non-state territories with local legislative branches, which are also listed below. Among the states, the Nebraska Legislature is the lone unicameral body, although three other areas, that are the District of Columbia, Guam and the U.S. Virgin Islands, also have unicameral bodies. The exact names, dates, term lengths, term limits, electoral systems, electoral districts, and other details are determined by the individual states' laws. Note: A party with a numerical majority in a chamber may be forced to share power with other parties due to informal coalitions or may cede power outright because of divisions within its caucus. † Includes legislators who are listed officially as unaffiliated, unenrolled, nonpartisan, etc. ^ The Constitution of California names it the "California Legislature", but the Legislature brands itself as the “California State Legislature”. ^ The Constitution of Louisiana vests legislative authority in "a legislature, consisting of a Senate and a House of Representatives," and refers to it as "the legislature" throughout, without officially designating a term for the two houses together. However, the two bodies do use the term "Louisiana State Legislature" in official references to itself. ^ When Nebraska switched to a unicameral legislature in 1937, the lower house was abolished. All current Nebraskan legislators are referred to as “Senators”, as the pre-1937 senate was the retained house. ^ The Constitution of Utah names it the "Legislature of the State of Utah", but the Legislature brands itself as the "Utah State Legislature". ^ The Constitution of Washington names it "the legislature of the state of Washington", but the Legislature brands itself as the "Washington State Legislature". ^ The ruling parties of Puerto Rico are separate from the Republican and Democratic parties. ^ “Split” in the sense that each of the two chambers are controlled by a different party (e.g., a Democratic Senate and Republican House) or one chamber is evenly split between parties (and thus " hung". The Nebraska legislature, though officially nonpartisan, is de facto Republican-controlled, and listed as such. ^ "Partisan composition of state houses". Ballotpedia. Retrieved October 1, 2017. ^ "Partisan composition of state senates". Ballotpedia. Retrieved October 1, 2017. ^ "Partisan Composition of State Legislatures". Ballotpedia.